We currently have one male and one female available out of our Oscar x Emma Litter. We breed German Shepherds to the SV (German) standard, and our goal is to produce German Shepherd puppies with true working ability, great temperament, and sound structure. Our puppies will grow up to be beautiful dogs that are capable of competing in Schutzhund/IPO; or working with law enforcement, search and rescue, and service animal/therapy programs. They are ultimately the perfect family companions on top of that. On average, we breed one litter per year. We don't take pride in producing a lot of puppies-- instead we value the quality of German Shepherds we do produce and their achievements. We breed for trophies, not for profit. We are constantly striving to produce the highest quality German Shepherds available to the public. Our very first breeding produced Aqua and Amor who both placed on the podium at their first Sieger show. This feat has taken even the most reputable breeders up to a decade (or longer) to achieve. We not only have success in the show ring, our show line German Shepherds are known for their working abilities as well. Local buyers receive generous incentives toward protection and show training. Additionally, we can refer you to reputable trainers/working dog clubs in your area that we have worked with. 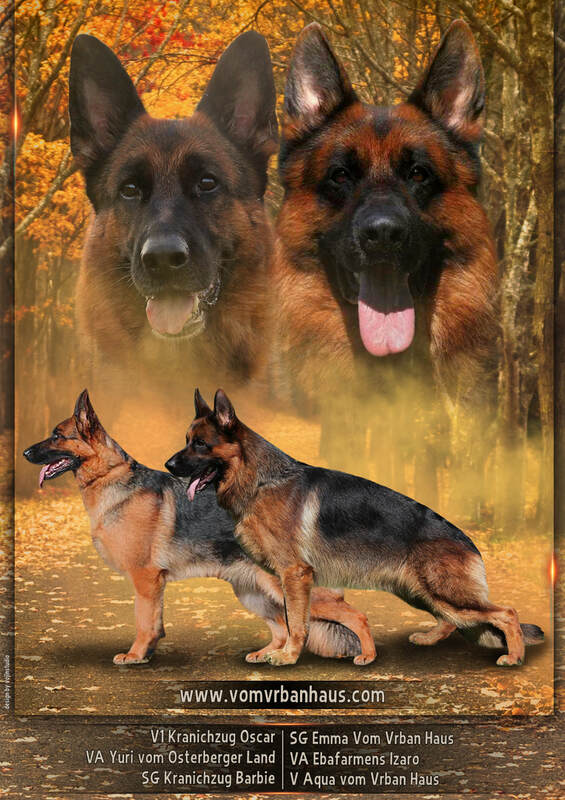 experience and philosophies as a German Shepherd breeder.